Stunning .925 Sterling Silver Etrog Box. A reserved modern creation that carries with it simple ellegance, creativity and an aristocratic impression. A sterling Esrog box in a refreshing shape and adorned with floral/filigree hand chasing on the edges and a single floral bunch on each panel. 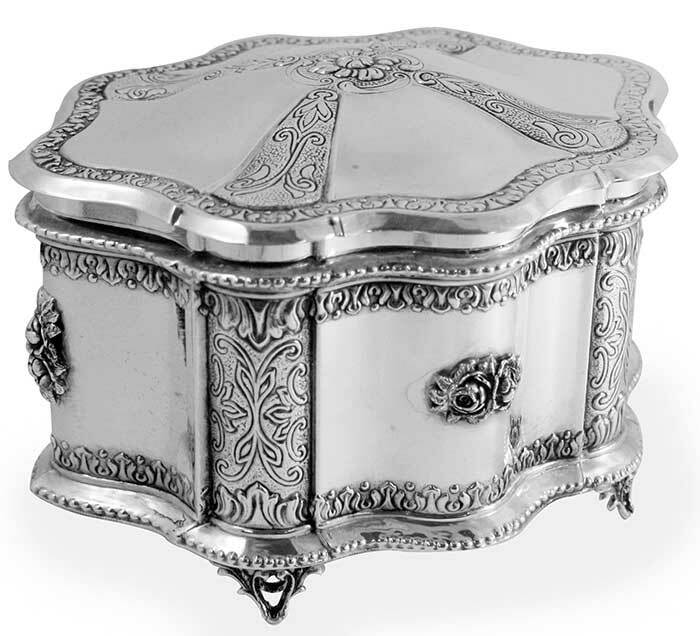 The interor of this sterling Esrog box is gilded to give the Etrog a majestic display.